70.141 Double-striped Pug in garage, Mar.25th 09. Captured by day. 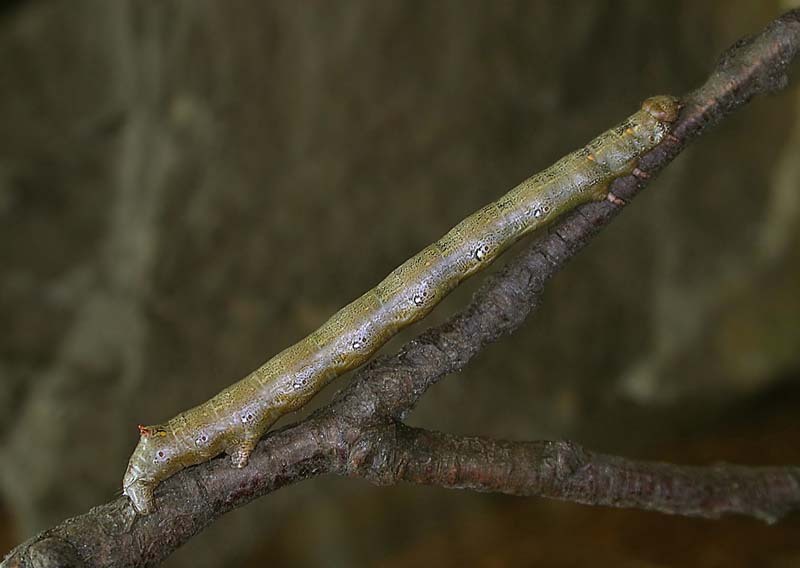 70.144 Green Pug one of two larvae found spun up in Blackthorn leaves at Park Wood Crematorium, May 7th 2018. 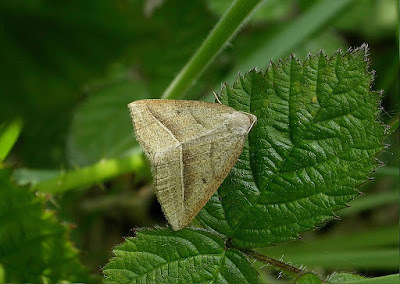 Unfortunately this one was parasitised but the other went on to produce the moth pictured below. 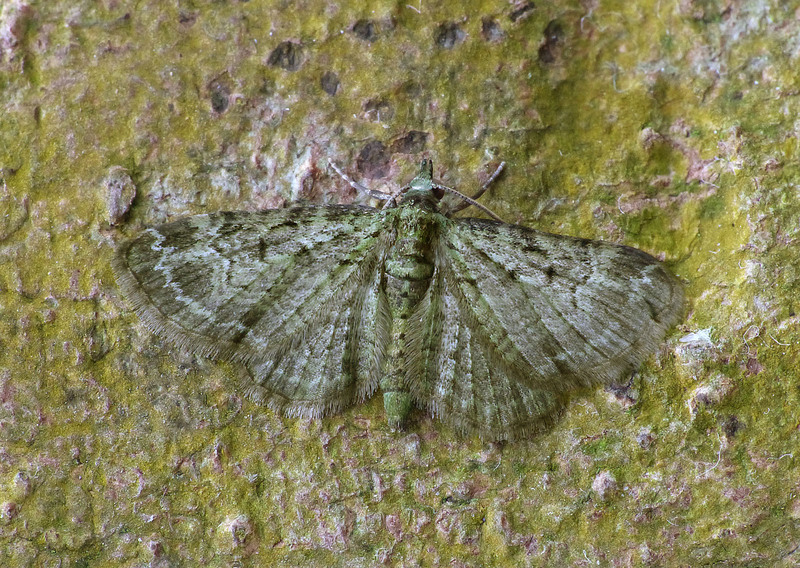 70.144 Green Pug May 23rd 2018. Reared from a larva spun up in Blackthorn leaves at Park Wood Crematorium on May 7th that year. 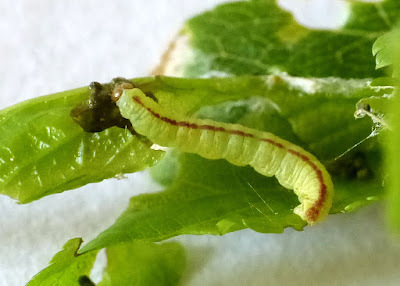 A distinctive green larva with a full or almost complete, red dorsal stripe. 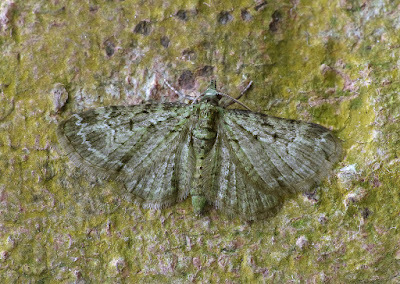 I had expected a more vivid green moth instead of the odd traces here and there, still, I suppose it's greener and easier to ID that most you get in moth traps. 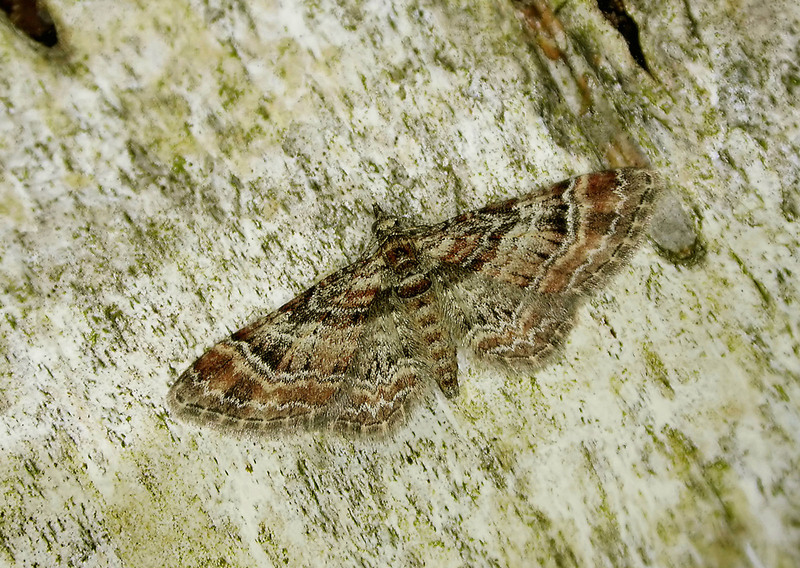 70.145 Bilberry Pug June 6th 2016. Reared from a larva in spun Bilberry leaves at North Dean wood on May 16th earlier that year. It constitutes the first record for Yorkshire with previous records from Strensall Common being removed due to their origins not being confirmed. 70.147 Slender Pug nectaring on Ragwort at Tag meadow, July 25th 2017. 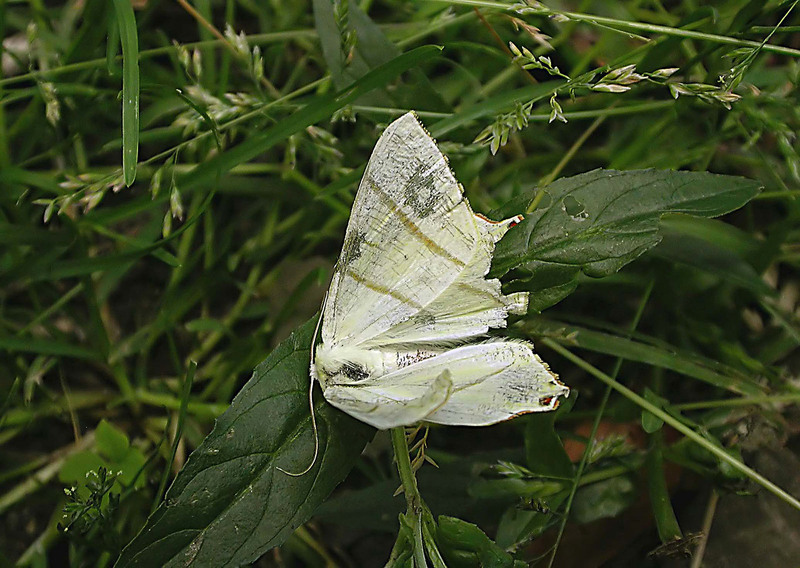 70.151 Foxglove Pug, a daytime observation at Carr Hall Lane, Stainland, July 7th 2017. 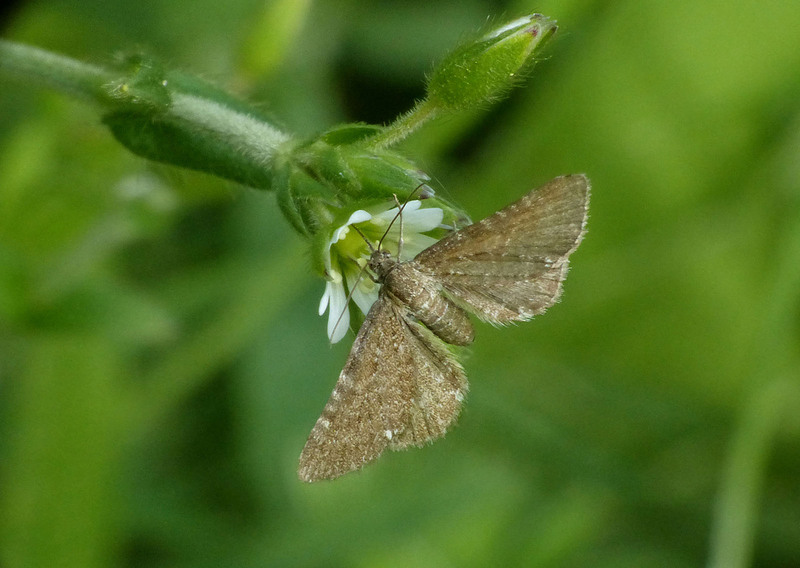 70.154 Marsh Pug nectaring on it's foodplant Common Mouse-ear at Copley meadow, June 1st 2018. 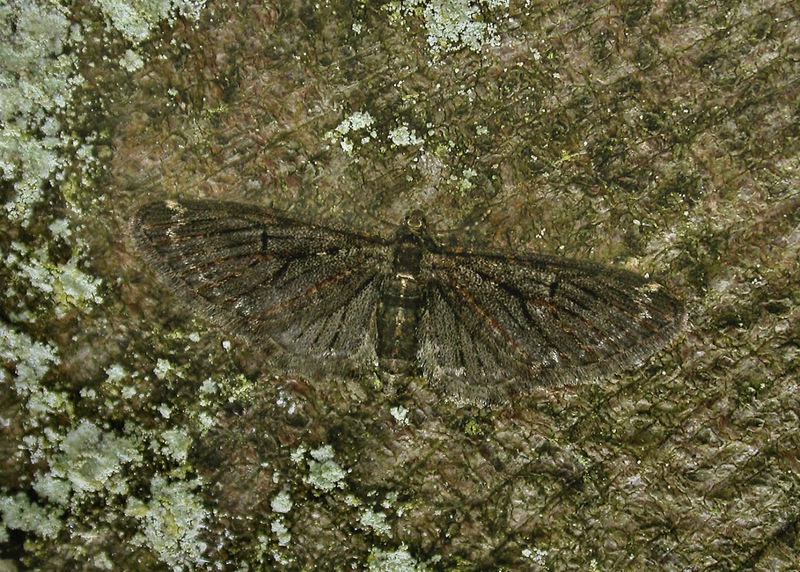 A small, day-flying pug with a lack of central spot and a straight/concave leading edge to the forewing. Easily overlooked as a macro moth. 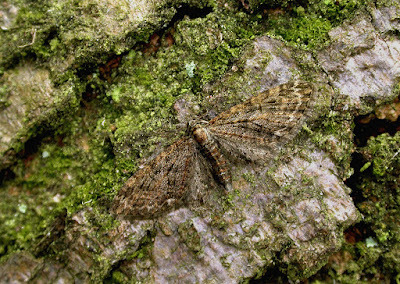 70.156 Brindled Pug North Dean wood, Mar. 29th 05. 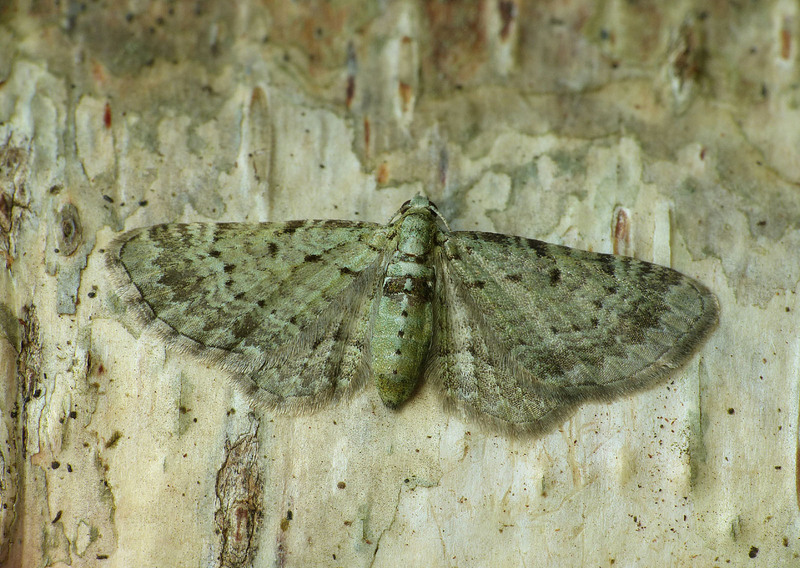 A daytime observation on Silver Birch. 70.156 Brindled Pug, a daytime observation on Sycamore at North Dean wood, Apr. 22nd 06. 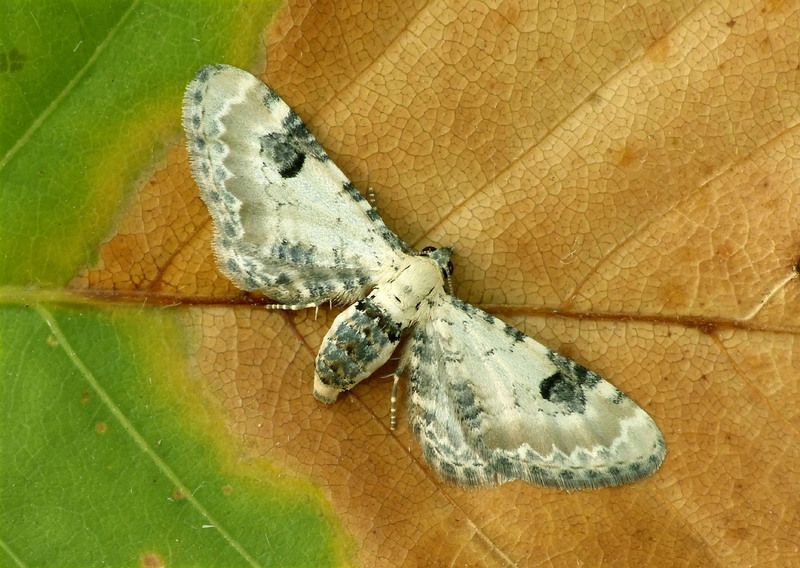 This is of the melanic form hirschkei. 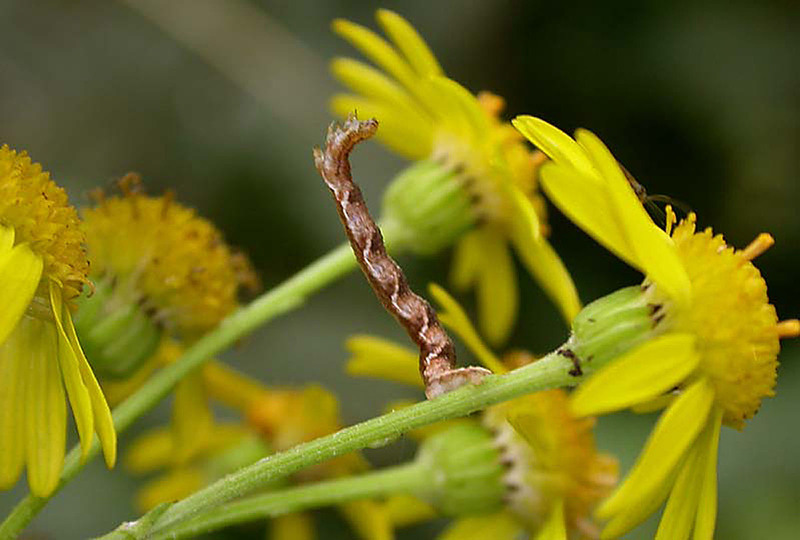 70.161 Golden-rod Pug larva on Ragwort at North Dean wood, Oct. 3rd 05. 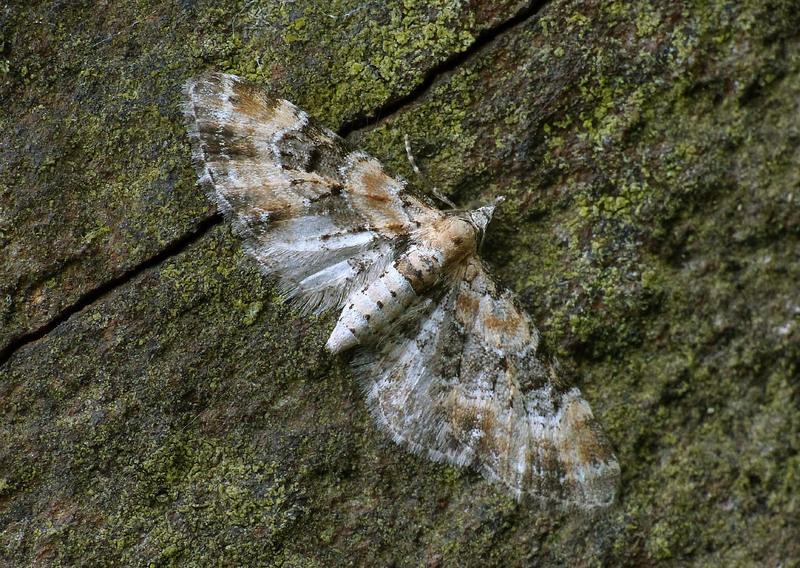 70.173 Lime-speck Pug to MV light at the cabin, Cromwell Bottom, Aug. 3rd 2018. 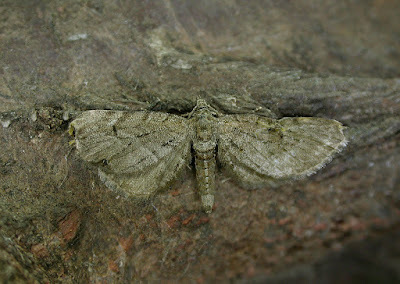 One of the easier pugs to ID especially when they're in this good condition. 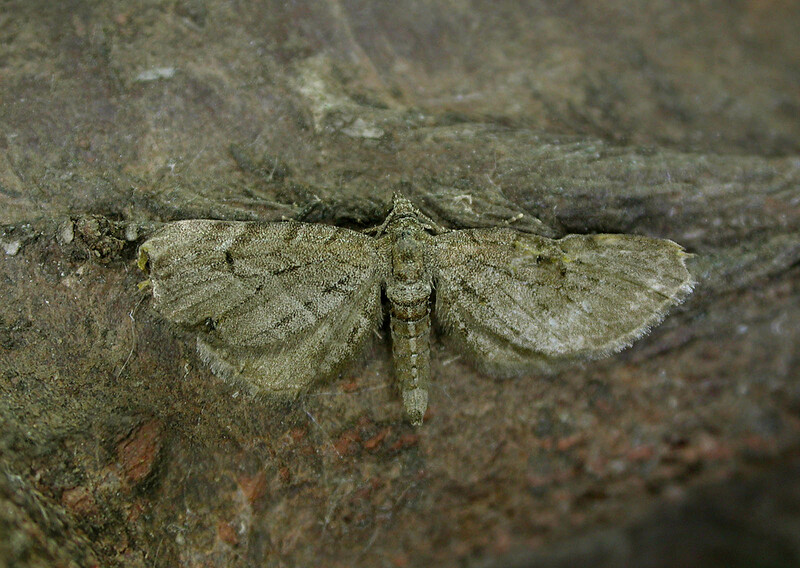 70.176 Freyer's Pug on the house wall at Skircoat Green, May 27th 08. 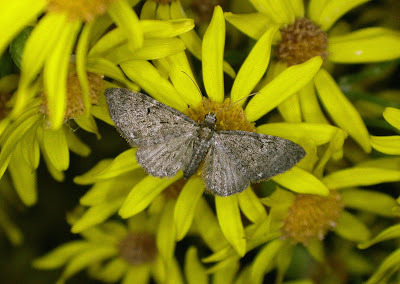 70.183 Common Pug nectaring on Ragwort at All Saints' graveyard on Aug. 5th 2017. 70.202 Early Tooth-striped North Dean wood, Apr.18th 06. 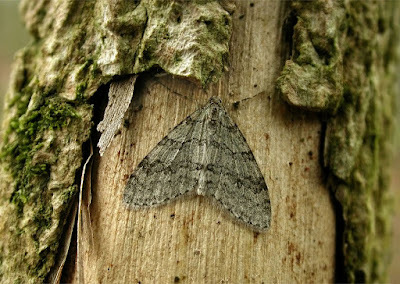 A day time observation on Elder. 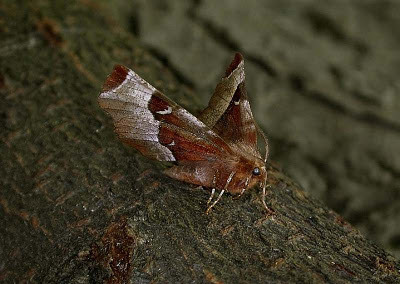 70.203 Orange Underwing North Dean wood, Mar.23rd 2010. 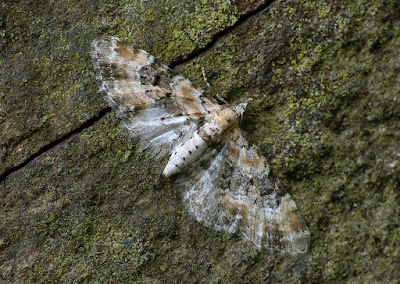 One of at least three seen flying around the tops of Silver Birch trees in the early afternoon. No doubt much more common than my single record suggests. If you look around the tops of Silver Birch here on a calm, sunny day in March I think they should be quite easy to find. 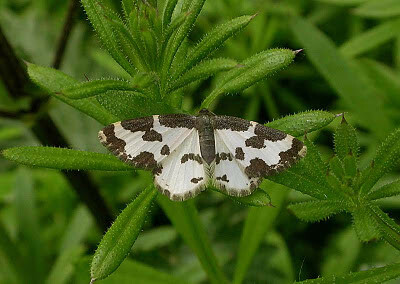 70.207 Clouded Border, Milner Royd ponds, May 14th 07. A daytime observation. 70.218 Latticed Heath at Copley meadow, June 3rd 2018. A daytime observation - spotted by Andy Cockroft. Not a common species here. 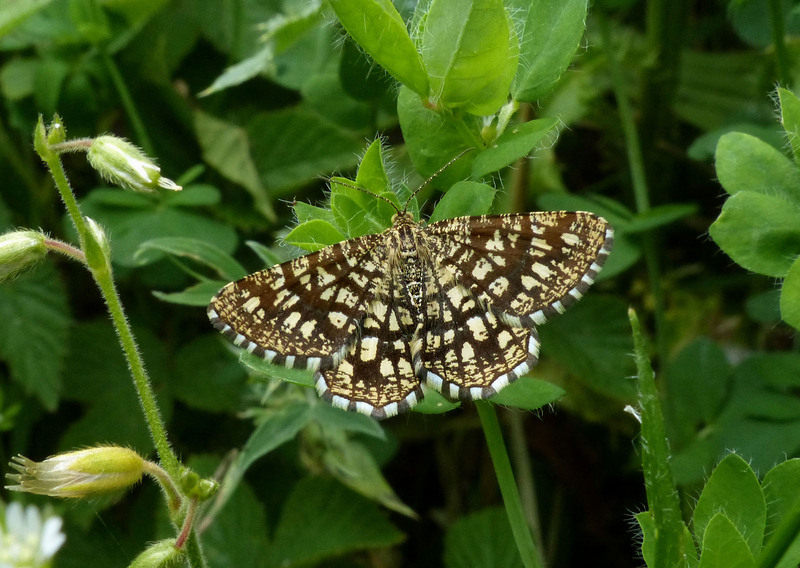 70.218 Latticed Heath at Copley meadow, June 12th 2018. A daytime observation. 70.222 Brown Silver-line at Brookfoot Loop, May 23rd 07. 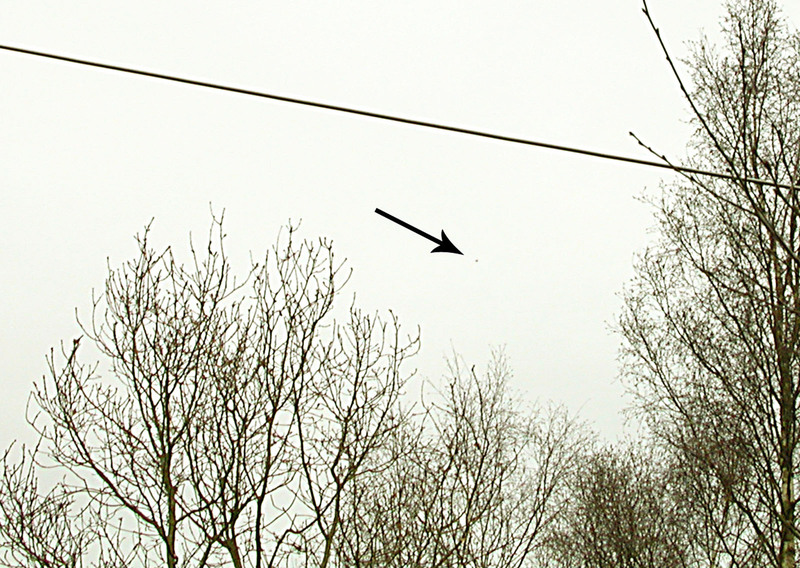 A daytime observation on Bramble. 70.226 Brimstone photographed at dusk in the garden, June 8th 07. 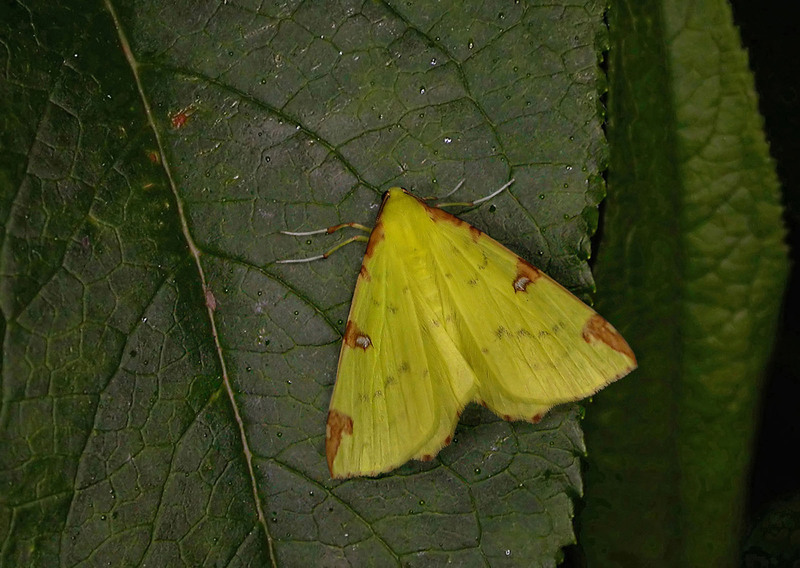 70.234 Canary-shouldered Thorn, one of several to MV light at the cabin, Cromwell Bottom, Aug. 3rd 2018. 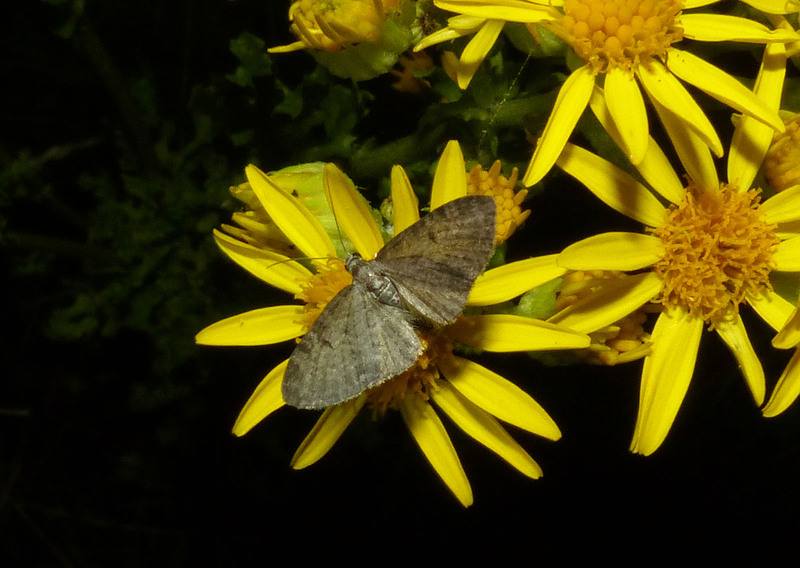 This one refused to enter the trap and just sat next to the mothing table for most of the night. 70.237 Early Thorn - female, resting openly in the steady rain at Tag meadow, May 18th 2013. 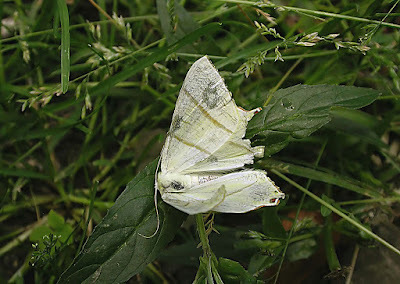 Possibly just emerged as it's in pristine condition and I can't think why else it would be out on such a mucky day! 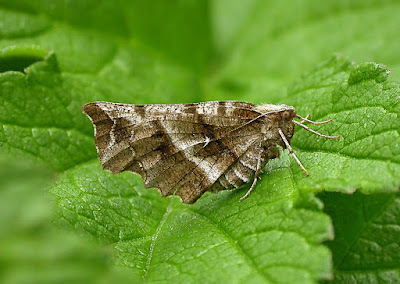 70.239 Purple Thorn at a temporary footpath over the towpath at Salterhebble, May 9th 08. Captured by day. 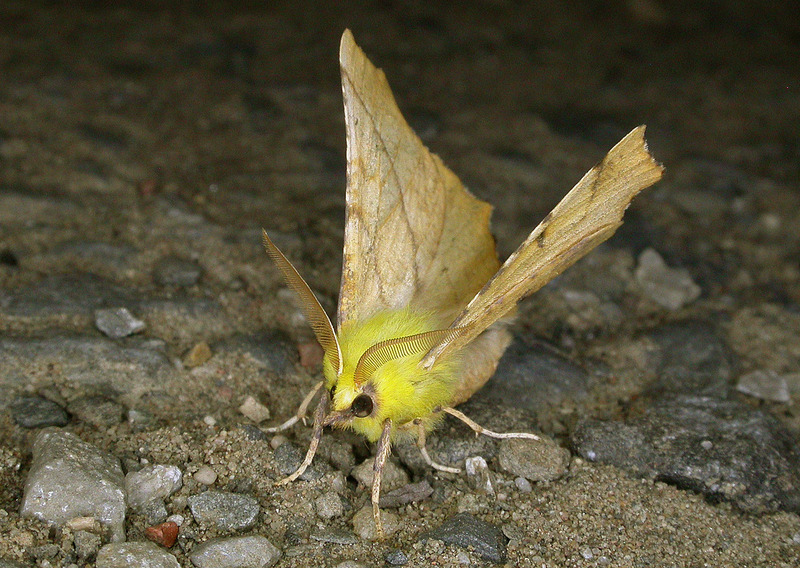 70.243 Swallow-tailed Moth found on the pavement above the Shay Football ground, July 11th 2010. Battered, bruised and barely alive. 70.244 Feathered Thorn, a 55mm larva, May 12th 09. 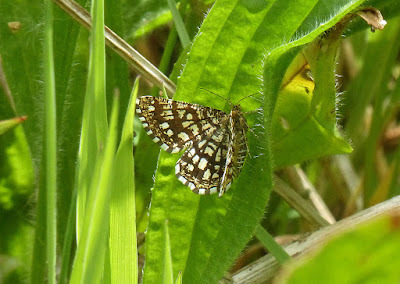 Found at the old sewage works at West Vale on Sallow. 70.244 Feathered Thorn - male, Stoodley Glen, Oct.27th 2012. A daytime observation. 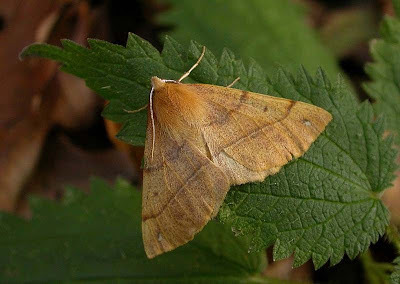 Quite a productive search for the time of year with 4 Winter Moths and a November Moth also seen.